In the summer of 2014, Chuck DiTrapano, a highly esteemed pharmacist from Reading, Pennsylvania reached out to me via email. The following is an important excerpt from Chuck’s poignant message that truly made me believe that we had been brought together for a very distinct purpose. Then Chuck began to share with me his heartfelt story of how his advocacy journey, as well as, his life experience, led him to establish a very successful family owned and operated business called RxTOOLKIT. As an expert pharmacist, he went on to explain in detail his true determination and effort to prevent tragic medication errors like the one that claimed my beautiful daughter Emily’s life in 2006. Just like me, Chuck was horrified at the thought that preventable medical errors are now the third leading cause of death in America, claiming over 440,000 lives each and every year! As a leading pharmacist, he also knew that medication errors were responsible for the largest percentage of these preventable deaths. With that said, the following is the story of how RxTOOLKIT was actually born, in Chuck’s own words, and was taken from the early email correspondence we had regarding this important issue. In 2004, I was a supervisor at Reading Hospital and saw a need for a more effective communication tool for our staff. I realized that there was a mountain of information needed in order for the staff pharmacists and myself to perform our jobs successfully in a fast paced environment. I also realized that this information had to be readily available and easy to reference. RxTOOLKIT was born. Having the correct information and the appropriate tools at our fingertips enhanced decision making, added consistency, and improved patient safety. That same year, we received the ISMP Cheers Award for our web-based application. Over the last 10 years, besides adding literally hundreds of pages of information, we have added more than 20 different applications to RxTOOLKIT.com. Our tools are created by pharmacists through direct clinical experience and front line development. They are developed solely on needs and feedback of actual users (pharmacists, technicians, physicians, and nurses) and solve both the small and large problems that pharmacists face every day. We have developed specialized tools for the most difficult and fragile segments of our patient population, including pediatrics and the NICU. Our tools can be fully customized to meet the needs of any institution’s procedures or protocols. We continue to pursue a very aggressive development agenda. We have just launched our brand new homepage(s) designed to illustrate the features and benefits of our web based applications. Our tools are designed and priced to help ALL patients regardless of hospital size, pharmacy capabilities, and financial constraints. We believe in our motto: Safety is Priceless, RxTOOLKIT makes it affordable. We have also come to know Eric Cropp. I invited him to speak to our staff last year. I have been around long enough to witness tragedy and I am all too familiar with the second victim. I think it is important that he share his message—“this can happen to you”. It is so easy for even the best of professionals to get lulled into thinking “this can’t happen to me”. Although I have been spared a firsthand experience such as Eric’s, I have had “near misses”, two of which are forever embedded in my brain. 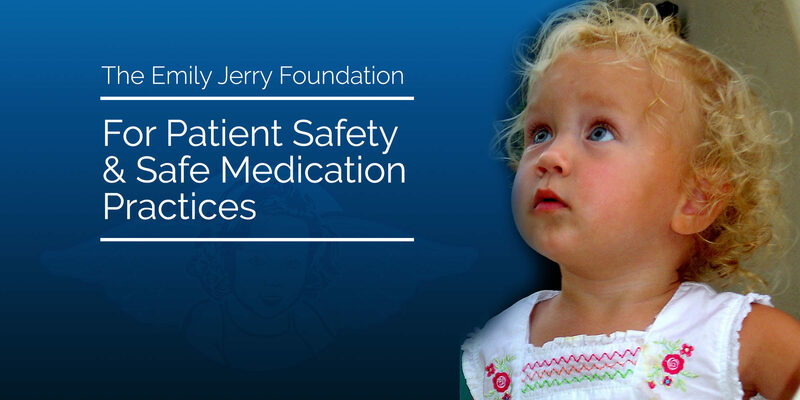 After hearing Eric’s story, and getting to know him, we developed the blog medsafetyonline.org. Our goal for the blog is to increase focus on the second victim and improve patient and provider safety through the exchange of resources, ideas, and experiences within the pharmacy and clinical practice community. I believe that by expanding the dialog among health care professionals and sharing our stories we can help to increase education and make a difference from the inside out. 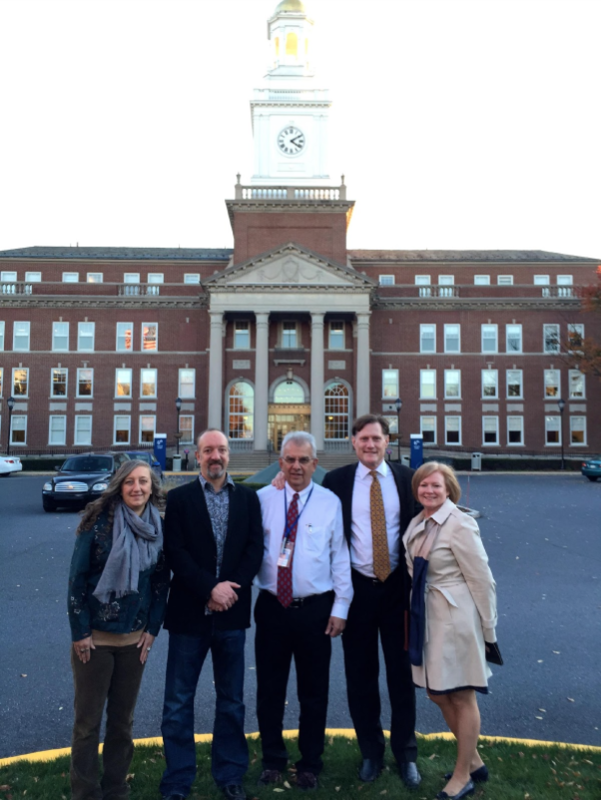 On November 11th of 2014, I flew to Philadelphia to meet Chuck, in person, and to give two lectures at Reading Hospital that he had arranged. The whole experience was absolutely amazing! What made it so special was the simple fact that I felt an immediate bond with Chuck because he appeared to be on exactly the same path I was, the guy was on a mission to save lives from preventable medication errors and ultimately put a stop to all of these senseless tragedies that occur with far too many patients, each and every year! Furthermore, he proved to me he was “walking the walk” when I was given an extensive tour of Reading Hospital. I subsequently learned that RxTOOLKIT software was deeply integrated into virtually every aspect of pharmacy operations at this enormous healthcare facility and had been clinically proven to prevent medication errors for almost ten years! Shortly after my visit in 2014, Chuck and I began discussing, in detail, how our two organizations could collaborate and partner on the development of a pharmacy technician eLearning training program that would significantly improve the core competency of ALL pharmacy technicians across the United States if they enrolled and participated in the program for continuing education credits (CE). Hence, RxTOOLKIT eLearning was born (in BETA now! ).